You have access to PeopleSoft. You should see 'PeopleSoft' listed under 'Key Links', see image below. Did you take all training required before Go Live? If not, access may be limited or revoked. Confirm your level of access with your supervisor. If you have PeopleSoft access, took the required trainings, and confirmed with your supervisor that you should have add/update access, you will need to complete a new Access Request Form. 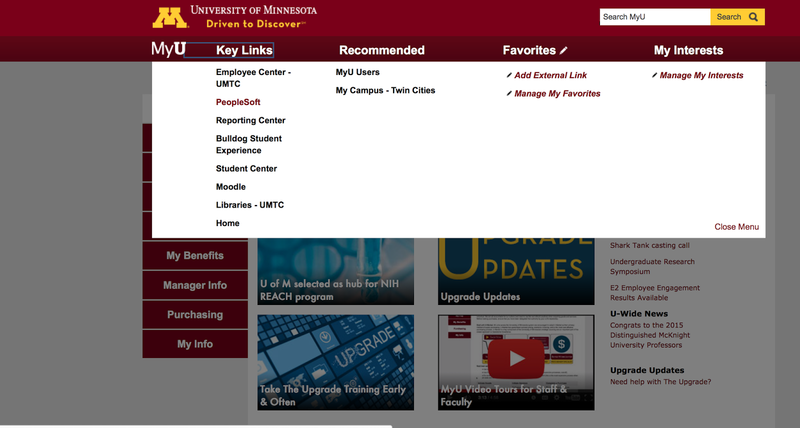 For Student System (ASR) access concerns, contact srhelp@umn.edu.